IKKO TANAKA ISSEY MIYAKE No.4 Release | PLEATS PLEASE ISSEY MIYAKE | News | ISSEY MIYAKE INC. The forth collection featuring works by graphic designer Ikko Tanaka will be released on Wednesday, January 30th. 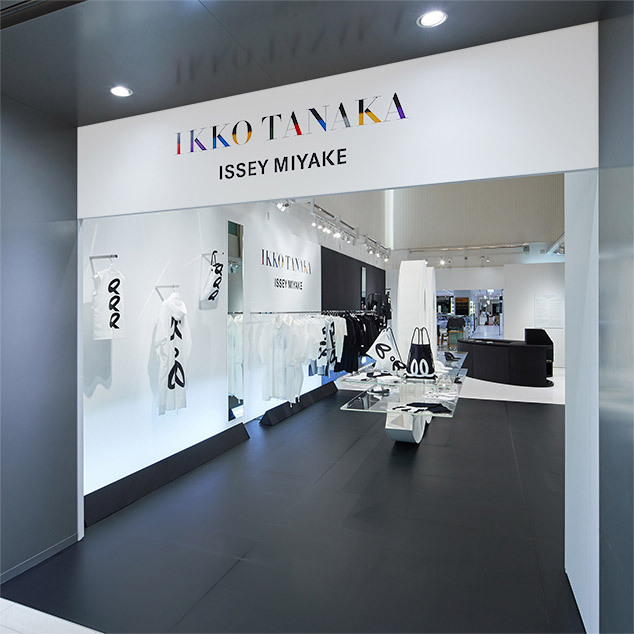 This series was first launched in 2016 to express respect for Tanaka's work and gratitude for the inspiration that he has provided for ISSEY MIYAKE's own pieces. While the series remains faithful to Tanaka's use of color, it does not merely use his works as a pattern. The aim is to create a garments with vibrant energy, whose appeal grows when they take on the three-dimensional shape that occurs during wear. The motifs for this collection were selected from two of Tanaka's series: "Continuous Symbol" and "Circle". Energy, humor and warmth were important elements for each of these products. While the series has a simple, sporty design, a variety of materials are used, with the utmost attention paid to every detail. Tanaka is constantly seeking to create forms with new value. He aims to create powerful works that will show people how design should be and how much fun design can be. IKKO TANAKA ISSEY MIYAKE is created from that unchanging approach to design. The special website for IKKO TANAKA ISSEY MIYAKE has been relaunched for the IKKO TANAKA ISSEY MIYAKE No.4 series. The website features information on the series and the design of each product.